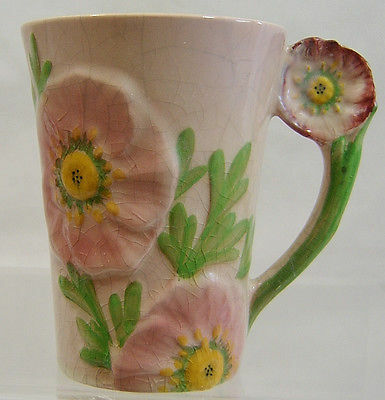 This is a highly collectable Carlton Ware Chocolate Mug in the Pink Buttercup Design. It is decorated with two large overlapping flower heads with a green foliage surround and a single flowerhead forming part of the handle. 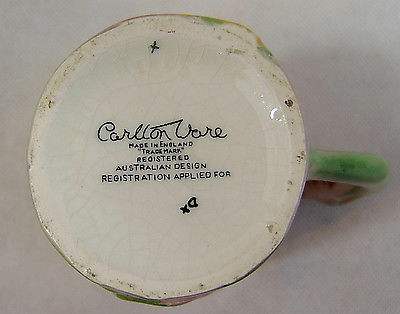 The dish is one of the Australian registered designs from the 1936/1938 period with the impressed mark 1585 underside. 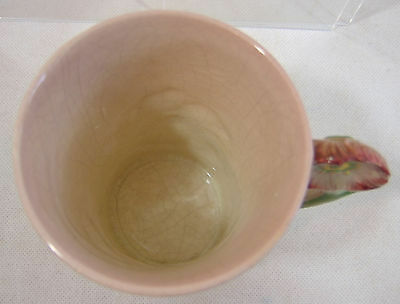 The Mug measures just under 4.5 inches (119 cms) long with a width of 4.25 inches (11 cms). There is no visible sign of damage but there is crazing both internally and externally. UK standard delivery is FREE OF CHARGE.